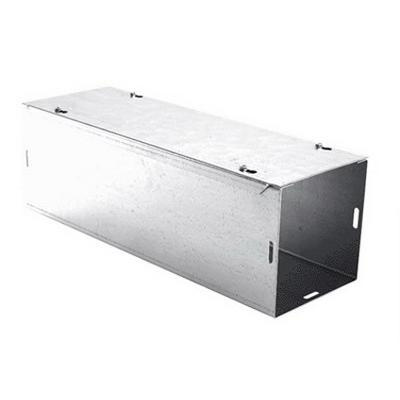 EBOX Wireway with screw type cover, features G90U steel construction with galvanized finish. Wireway measures 8-Inch x 8-Inch x 48-Inch. It has NEMA 1 rated enclosure for safety. Wireway is UL listed.